Dani Clos made his first appearance in the F1 paddock with the HRT team, participating in several Friday Free Practice sessions and the Young Driver testing with them. He also spent four years in the GP2 series, with one victory to his name. 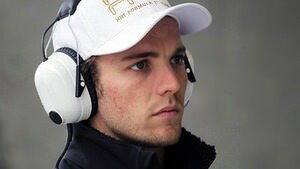 Dani Clos first came to Formula One as a test driver for Williams, back in September of 2008. He moved his attention to the HRT team, who employed him for the Abu Dhabi Young Driver Test in 2011, and then went on to give him the reserve driver role for the following season. He appeared at several Grand Prix weekends, participating in the first practice session on a Friday, but with the demise of HRT, his links with Formula One for the moment have been severed.